Whenever Guerlain releases a new quad, I go crazy over it. I love the heavy metal packaging and their very finely milled long lasting formula. Most of the time this combination comes with interesting and flattering shade combinations. All of the three quads they have released with Kiss Kiss Fall Collection were superb. There were mattes and shimmers combined in best ways, and I fell especially in love with Les Violines. 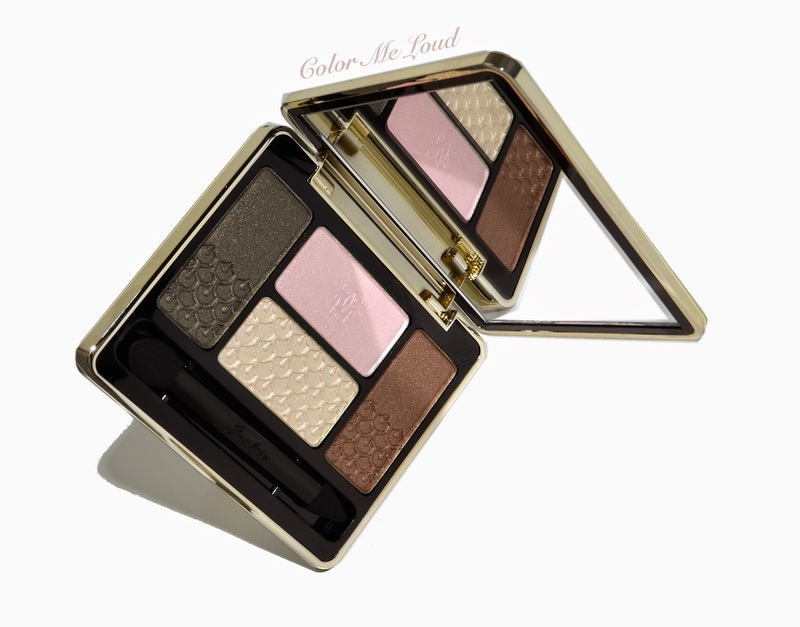 Guerlain Écrin 4 Couleurs #504 Les Précieux is a palette of bronze and green combination with warm undertones. When I took it out of its box to take photos, I placed it under the lights and I thought "Is this one a shimmery quad?". 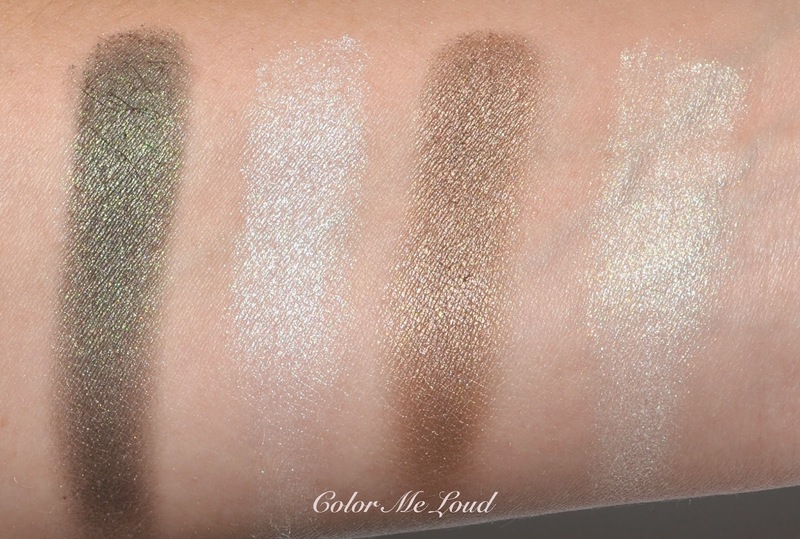 Under light you can see the lustre on each of the shades and the first impression of having soft shimmery shades is confirmed right after you dip your fingers into it. If you know me, you can tell that I was not impressed, as "soft shimmery eye lid" is not one of my go-to looks. Nevertheless, I am going to try my best to review Les Précieux as fair as possible, trying my best to put my personal preferences aside. Left: A deep moss green base with medium green shimmer. This shade has a good color pay-off. The shimmer is not very complex but doesn't look frosty nor cheap. Up: A very light, almost white pink with semi sheer opacity and almost frosty shimmer. It was hard to do anything with this shade. I am still trying to find an eye look to use it. The very light yellow shade underneath looks almost the same on the eyes and has a better opacity/color pay off. Now on my eyes, as I have previously mentioned, I was a little clueless since the shades doesn't have finishes which I usually go for. I applied the light yellow on the inner half of the lid, then blended it with the bronze on the outer half. I have then defined my crease and outer third with the green shade, which appeared to be the deepest shade of the quad. Blended moss green does look muddy on my complexion at times and you can see the effect below. All in all those shades do blend effortlessly and they have a tendency to blend a little too much. Gosh, it is time to do something with my hair! It became the wildest and ugliest looking thing on my head (together with my brows ugh!). Back to subject, here is the look in context using Guerlain Écrin 4 Couleurs #504 Les Précieux on the eyes, Guerlain Météorites Perles de Blush Éclat Angélique (reviewed here) on cheeks and Tom Ford Michael on lips. It is so cold here at the moment, so I am wearing my warmest cashmere sweater and a scarf of to add some color in the mix. Although it is not particularly announced as limited edition, I believe Guerlain Écrin 4 Couleurs #504 Les Précieux is not permanent because of the numbering system, 500s were all limited. The blue quad from Spring Collection on the other hand should be added to the Guerlain Écrin 4 Couleurs line, again just judging by the number. 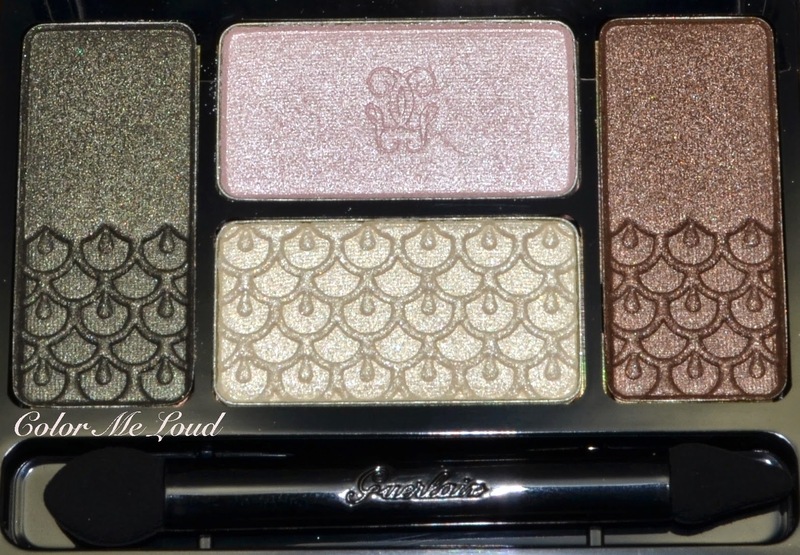 Final thoughts: Green, soft & shimmery, if that is what you would like this Spring, Guerlain got you covered. If you like more interesting color combinations and palettes which mix matte and shimmery, keep on searching. Have you checked Guerlain Spring Collection yet? Anything catching your eye? Lovely! It would be fantastic if the 2 lighter shades were not so similar though. Looks beautiful and springy on you, Sara! But I have to say that I was so surprised when I saw the swatches because I was thinking that the light pink shade would show up as a pink, but as Lily mentions the two light shades are very similar. The green and the bronze shades in this quad look absolutely stunning, but it's not really my color scheme - they'd probably pull very warm on me. 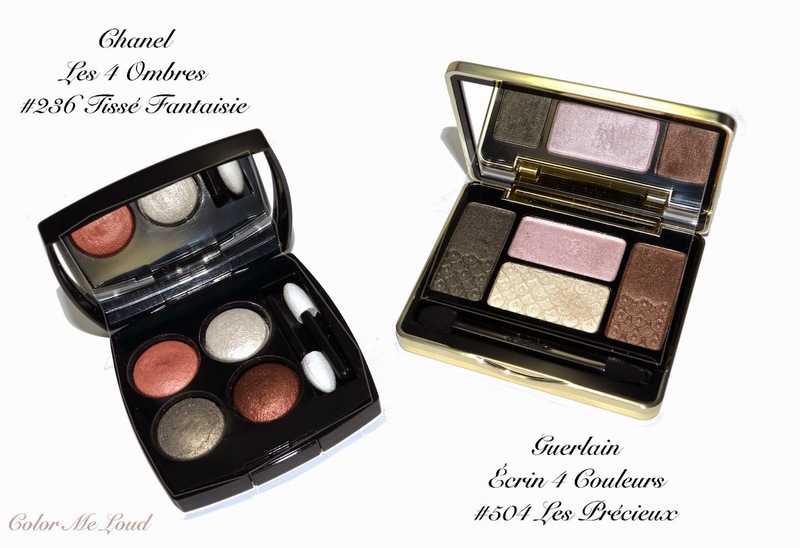 I'm yet to dip my toes in the Guerlain eyeshadow territory! Wow, this is a lot more beautiful than I thought it would be. Great post, Sara! 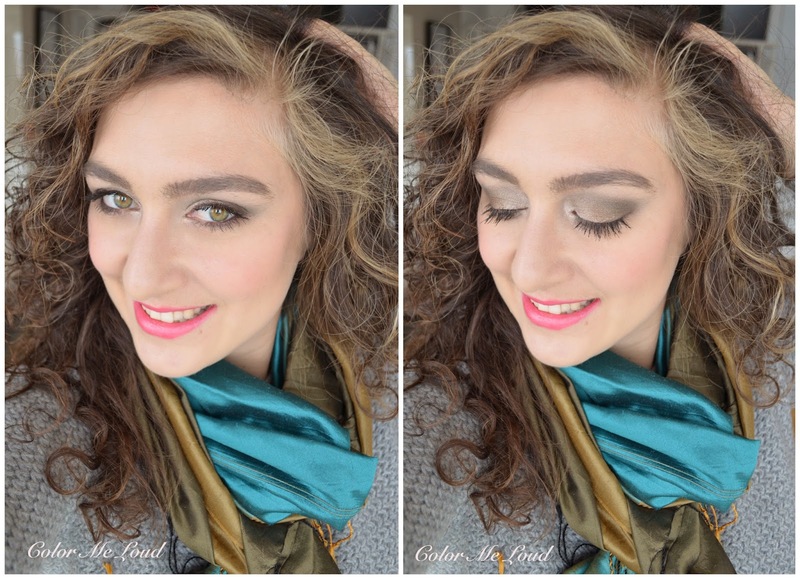 Hey Sara, thanks for the review and the stunning look! I think I can safely skip this one with no regrets, since I plan to get Hourglass Color Field! I agree tho. It'd be so much more interesting if there were a mixture of different finishes. I wonder why we don't see matte shades too often in luxury quads/quints. Maybe it's because it's harder to get mattes right? Ooooh Hourglass Color Field, now I am curious how you will like it. Those are a little powdery but they are so nice in terms of design and work good on the eyes. Guardian's mattes are one of the best I think, especially Les Violines and Les Sables had great mattes in them. LOL, i know what you mean, I am also more for mix texture quads. is the collection released there? Don't miss the blush! It is so beautiful. Based on your review, I recently got #502 Coup de Foudre, and I just love it. Every color in it is wearable and fabulous-- so I feel that this is my new green Spring quad even though it is not a new release. Love Michael on you-- I think you are due for a TF lips and boys re-review-- looks like you sneaked in a few more colors. you are so lucky to be able to find Coup De Foudre, that one is a stand out! Oh Sara!!! Somehow, you have this knack of writing a prim and proper review, and then out of the blue BAM!! You break me out in giggles!!! WHAT CRAZY HAIR?!?!?? Hahahahaa.... I need to fix mine too... come, let's go spend a couple of hours in a salon and sip on champagne while the hair stylists do their thang! ;P I'm so disappointed in these disappearing-shades what kind of voodoo is that?? LOL, I get bored during writing a prim and proper review and crack up. Now you cracked me up though hahahaha! I would love to fly over just for that, it would be such a fun day, pamper ourselves and get the hair right. Looks like a perfection! I seem to be in minority here, but I personally don't like mix of different textures in one palette. I prefer either complete mattes or complete shimmer palettes because I find the mix of different textures looking really weird on my lids - when one part of the lid is shimmer, another part reflects the light with metallic, and then some other patch is completely matte. I don't even like mixing different kind of metallic textures, or thicker eyeshadows with thickers ones. It makes my eye makeup look more natural and color transition more elegant when the texture of al used shades is the same. I have this Chanel quad too, and also Coup-de-Coudre. 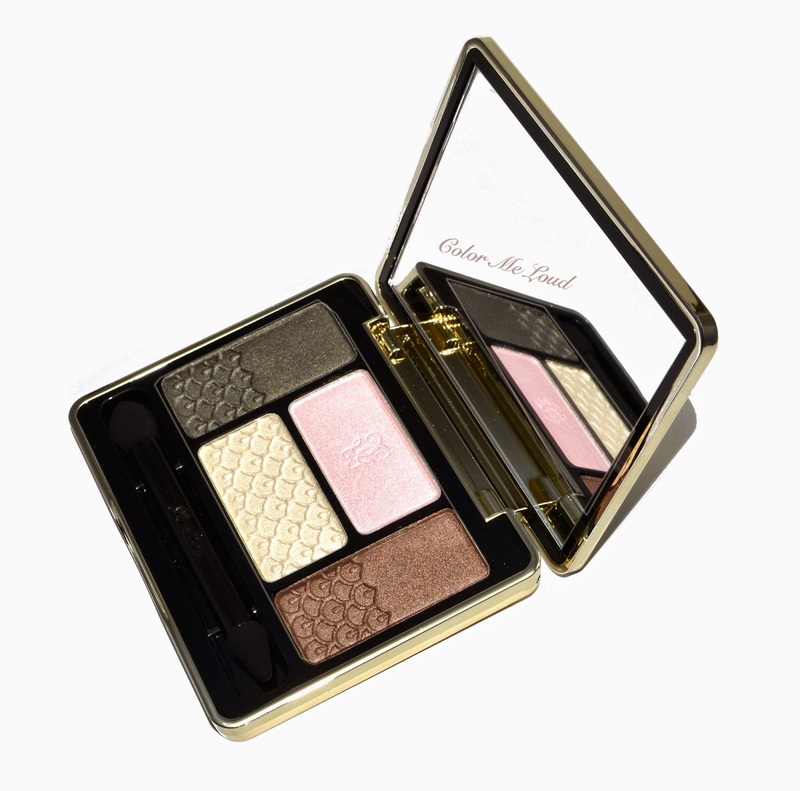 I must say that this palette will probably be the first one from Guerlain that I will be able to really wear. I own many of them, but Guerlain always makes color combinations that look great in the pan (thats why I keep buying them), but too avangard on my lids (even if I have a very bright color type and can use strong colors). This quad makes me hope that Guerlain finally moves in some more practical direction of making makeup that can also be used for its direct purpose. Thanks so much for commenting and letting us know another point of view. I can understand that making different textures work together might be a little trickier and needs more time and blending. I think Coup-de-Foudre is very pretty but I can see why it is not everyone's cup of tea. 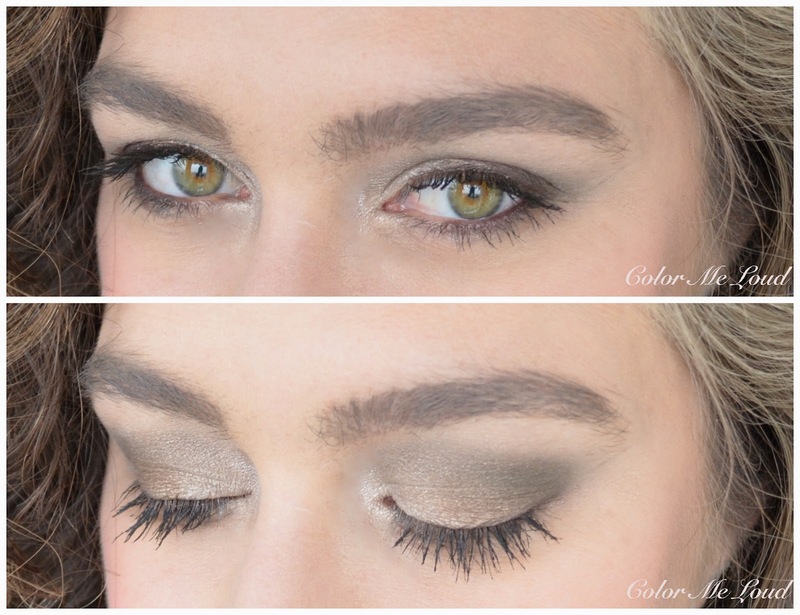 I completely agree with you that this particular quad is great for a quick eye look. Actually, I find this one to be one of your best eye makeup looks, Sara! On the picture, there is a perfect harmony between the colors of your eyes, hair, skin and this palette. Thanks so much, glad you liked it. I like a bit more contrast but for a soft spring look, I might go for harmony as well. Woman, you are so damn photogenic! I can't just be spontaneous and smile straight into the camera like that. I'll look like Chandler smiling for pics. Anyway, the palette, it's so pretty! The eye look you created is stunning. Aww, thanks so much. I love your poses too, you look great each time! Oh, I thought this one was beautiful - the shades are just what I used to wear when I started wearing makeup more often. That said, I am missing either a darker satin or matte or would've preferred for the pink to be matte. Have to play around with it more at work though. According to the info I got it seems 504 is permanent and 18 le, but it might be a misunderstanding caused by a mistake in translation. Didn't have any luck contacting the Norwegian distributor, so this is all info I've gleaned at work.